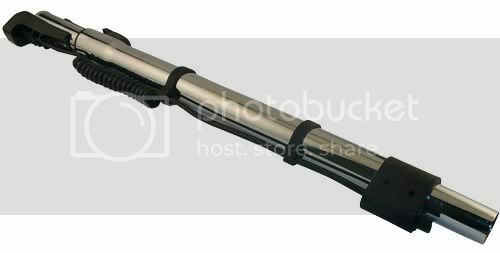 Our best central vacuum powerhead and telescopic wand set. Will fit any brand gas pump style hose. Wessel-Werks best and longest selling powerhead with telescopic wand. Will work on all new gas pump style hoses. This is one of the best powerheads we have ever sold. Wessel makes this powerhead for Nutone, Air Vac, Beam and others. They re-badge it with their name and sell it as their own.